The night started early with Skarlett Riot (8) hitting the stage at 8.00 . Skarlett Riot are a female fronted four piece who play the same rock and roll infused metal as Halestorm. They absolutely nailed the support band role whipping the crowd in to a frenzy. Their songs were very catchy and involved some call and response crowd participation. They could easily have kept the crowd entertained for a full set. Next up were Buffalo Summer (7) from South Wales who play a similar type of rock to Heaven's Basement. Again they further pumped the crowd up with exciting thrashing and solos. They are definitely an up and coming band. Heaven's Basement (9) have appeared from nowhere. Their debut album, Filthy Empire, released on Red Bull Records is a must for any rock fan's collection. After perfecting their live show at Download Festival they come to Clwb Ifor Bach with full swagger. The songs were high adrenaline crowd pleasers which had the crowd bouncing from start to finish. In the middle they played a slower number where frontman, Aaron Buchanan showed genuine emotion , he was not just singing about it but living through it. They played mostly material from their debut including the crowd favourites, Fire Fire and Nothing Left To Lose. Aaron risked life and limb crowd surfing and hanging from the ceiling rafters. They worked hard and were rewarded with same enthusiasm as local heroes. 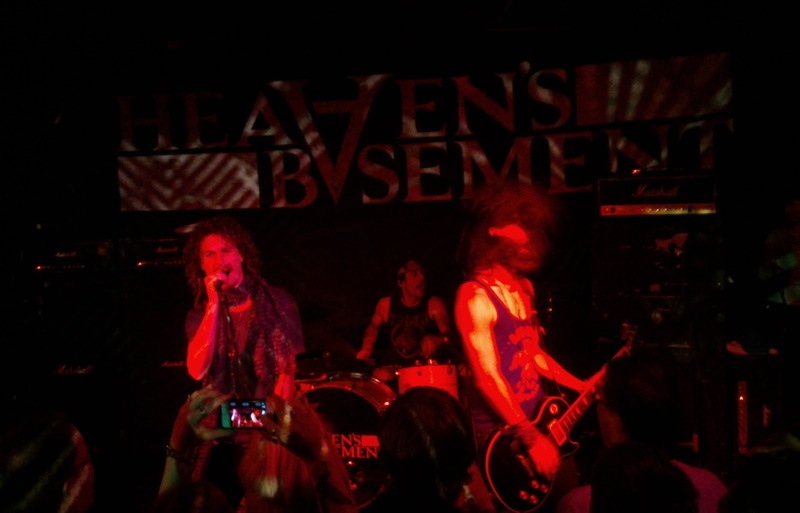 If there is one band you see this year go see Heaven's Basement.